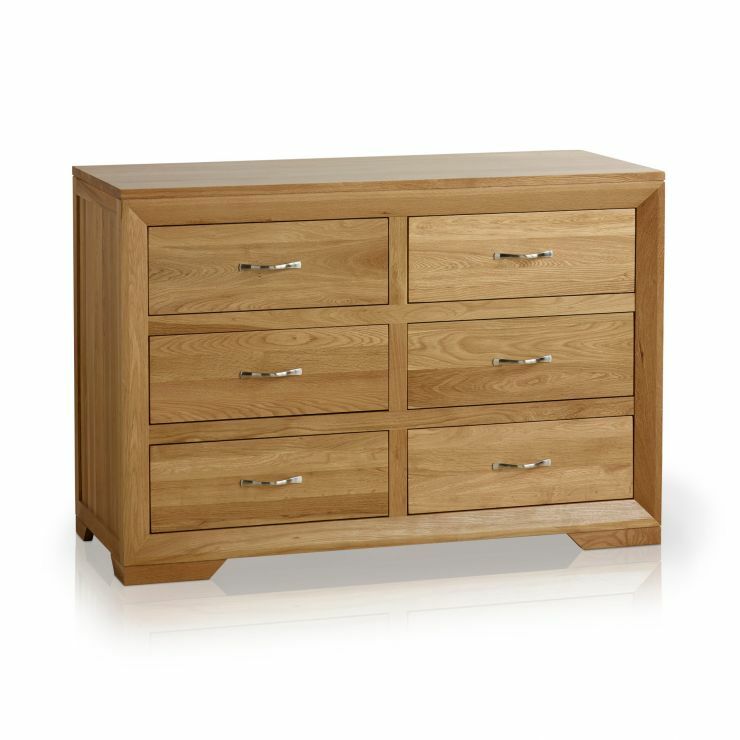 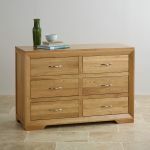 The Bevel Natural Solid Oak Six Drawer Chest is an impressive storage unit which features an exclusive, contemporary design. 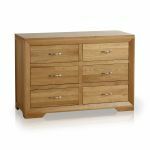 Handcrafted by skilled woodworkers from premium grade solid oak, the face frame of the unit has a softly bevelled edge with mitred corner joints. 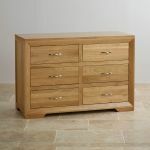 The six spacious drawers are all made using traditional dovetail joints with solid oak backs and bases. 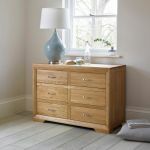 This ensures that they are exceptionally robust - so you can stuff them to the brim with clothes and shoes! 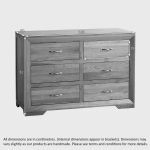 The drawers are finished with brushed metal curved handles that lend themselves well to the contemporary air of this piece. 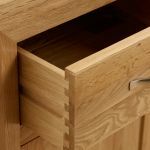 The whole unit stands on elegantly angled feet and has been treated with a fine coating of Furniture Wax to protect and enhance the grain.